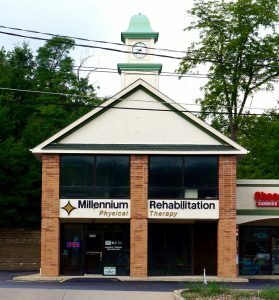 Millennium Rehabilitation opened its doors in Hinckley in 2002, and in 2005 expanded its services to a second location in Parma. We pride ourselves in the personalized affordable care and compassion that we provide to each of our patients. All of our therapists are doctor-trained and focus on evidence-based methodologies to improve patients’ function and outcomes. As one of the few remaining physical therapist-owned private practices in the greater Cleveland/Akron area, Millennium Rehabilitation’s mission is to keep physical therapy care personalized affordable care. Recent cost analysis reveals that our costs are 50-75% less than our competitors, more often the large, corporate entities which have come to monopolize patient care in suburban communities. With health insurance deductibles, co-insurances and co-pays on the rise, we understand that patients must be more discerning and conscientious with their health care dollars. The cost of health care is an important consideration, particularly in cases that may require an extensive amount of physical therapy services. We will be with you every step of the way and base our therapy around your particular needs. Never “just a number”, you will be treated with respect and recognized as a friend in our practice. We want to know about you, your wants and needs, your family, friends and interests… because our care goes beyond our doors and into the community. We enjoy seeing our patients about town in their daily lives. It lets us know they are living their lives and moving freely and it lets you know that we truly care about your health.